Your toenails are like small shields that protect your toes and reveal the health of your entire body. Since diabetics often suffer from a decrease in sensation on their fingertips and toes, keeping nails in a good condition is critical. Also remember to keep the blood flow circulating fully to your toes. Instead of crossing your legs when sitting, for instance, put your feet up and wiggle your toes often. Check your feet daily if you are a diabetic. Yes, it’s a everyday necessity. Lower leg and foot issues can appear out of no where, making it critical to pay attention and attend to anything out of the ordinary. One way to minimize these painful issues is to protect your feet from harmful surfaces and extreme temperatures, such as hot pavement and sand. Wear proper shoes, socks and other appropriate footwear. 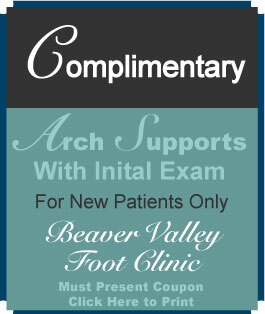 The Beaver Valley Foot Clinic is Here for You! Dr. Christina Teimouri will tend to all of your foot and lower leg needs so that you can achieve ultimate health and balanced diabetic foot care. For more information on foot care services, contact the Beaver Valley Foot Clinic today by calling (878)-313-3338 now, or stop into one of the convenient locations around Hopewell today. 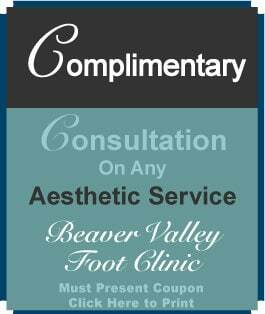 Contact the Hopewell’s leading podiatrist at the Beaver Valley Foot Clinic now, and schedule your first appointment for diabetic foot care services. Get gentle, fast relief from all kinds of foot pain, today!